This paper explains urban transformation approach as qualified presses in dealing with inner city slum problems and factors that led to emergence urban transformation in Turkey. In addition, it highlights one of the earliest ongoing transformation projects in Gaziantep city adopted by the local municipalities. The study identifying the municipality’s motives of choosing this neighborhood beside of analyzing the project and its effect on social and economic aspects. This is more likely to keep up with the efforts of Gaziantep Municipality in developing and transforming slum areas. Blanco, C and Kobayashi, H. (2009). Urban Transformation In Slum Districts Through Public Space Generation And Cable Transportation At Northeastern Area, Medellin, Colombia. The Journal of International Social Research Volume 2/8. Cagla, H. and İnam, S., (2008). A Study On The Urban Transformation Project Format Done By The Leadership Of The Local Governments In Turkey. FIG Working Week 2008, Stockholm, Sweden. Most Relevant Strategic Approach. European Planning Studies Vol. 13, No. 5. Dündar, O., (2001). Models of Urban Transformation - Informal Housing in Ankara. Cities, 18(6), 391-40. Egercioğlu,Y and Özdemir,S., (2007). Changing Dynamics of Urban Transformation Process in Turkey: Izmir and Ankara Cases. Proceedings of the 47th International Congress of the European Regional Science Association, Paris, Vol 1, pp. 170-198. Erkip, F., (2000). Global Transformations versus Local Dynamics in Istanbul: Planning in a Fragmented Metropolis. Cities, v.17, pp. 371-377. Gaziantep Magazine published by Gaziantep Provincial directorate of cultural and tourism, (2014). Haberler News. (2014, April 11). Retrieved from http://www.haberler.com. Korkmaz, Ö., (2013). Urban renewal process in Turkey - General overview, economic and social analysis. Stockholm. Thesis no. 231. Municipality of Şahinbey (2014), Invitation to Information, Gaziantep, Turkey. Mutlu, E., (2009). Criteria for a "good" urban renewal Project: the case of kadifekale urban Renewal Project. İzmir Institute of Technology, MSc thesis. Özden, P and Kubat, A., (2003). “Türkiye’de Şehir Yenilemenin Uygulanabilirliği Üzerine Düşünceler”, Journal of ITU for Architecture, Planning Design, Volume 2. Urban Regeneration. Thousand Oaks- Sage Publications, New Delhi. SATILMIŞ, E. (2011). The Contribution Of The Housing Production Of The Housing Development Administration (Toki) In Meeting Housing Need In Turkey By Provinces, MSc thesis. Türkoğlu, H and Kundak, S., (2011). Urban Transformation as a tool for Disaster Mitigation. 51st ERSA, Barcelona Spain. Ulu, A., (2007). Regeneration of urban areas in cities of Turkey Case study: Izmit. RNHR Rotterdam. Uzun,B and Çete,M and Palancıoğlu,H., (2010). Legalizing and upgrading illegal settlements in Turkey. Habitat International 34 204–209. Yilmaz ,Ş., (2014). An Assessment on The Link Between Sustainability And Urban Form: The Case Of Gaziantep. Middle East Technical University, MSc thesis. ISNAD Katerji, Samer . "Urban Transformation as a Process for Inner-City Slums in Turkey, The Experience of Gaziantep City, Turkey". 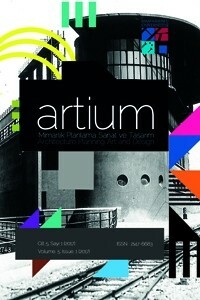 Artium 3 / 2 (September 2015): 0-.